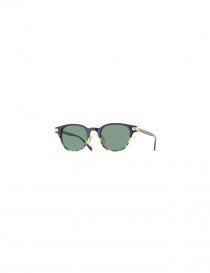 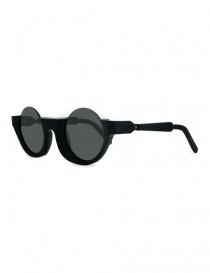 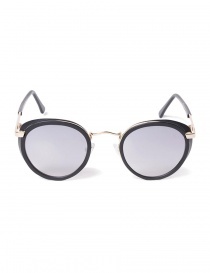 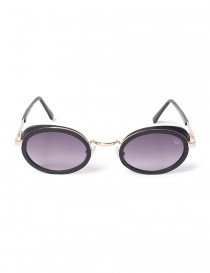 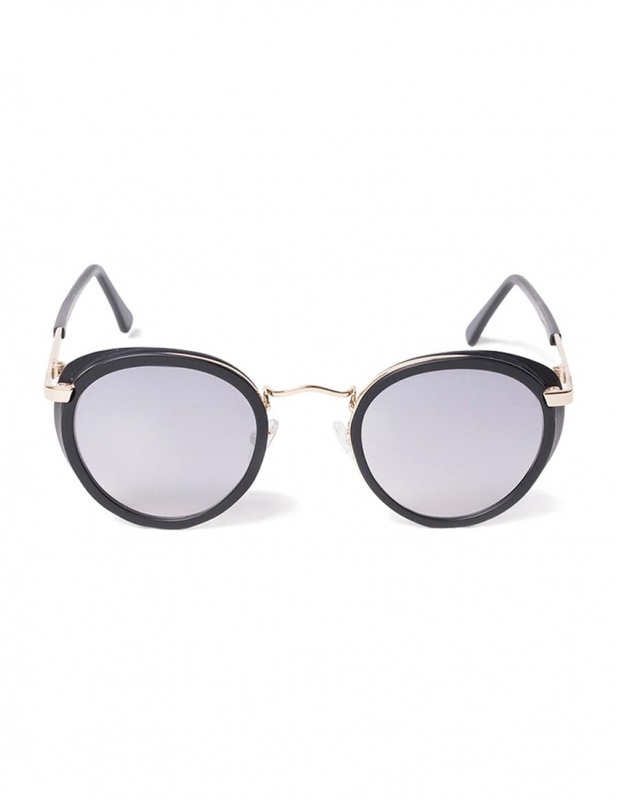 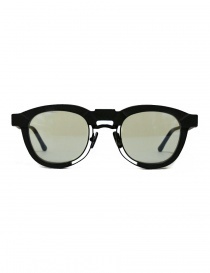 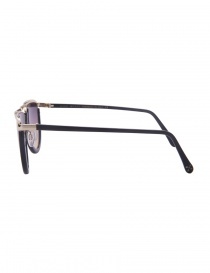 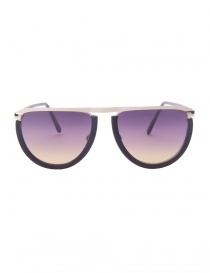 Sunglasses with frontal with double border in black satin acetate and gold color metal. 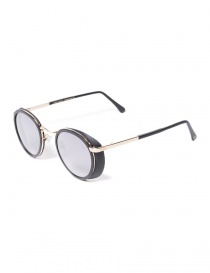 Thicker oval profile. 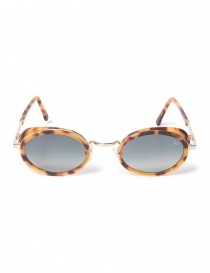 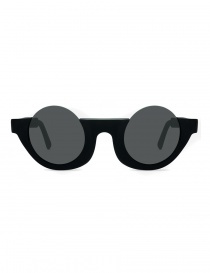 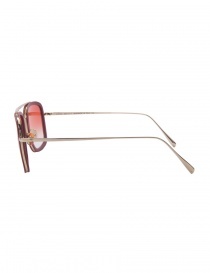 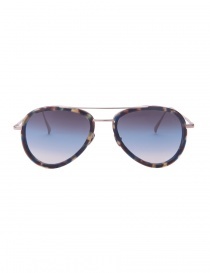 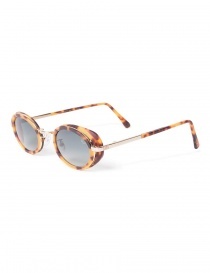 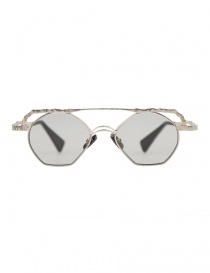 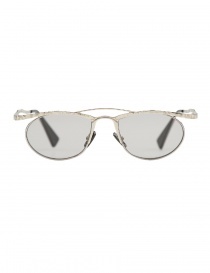 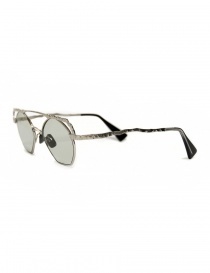 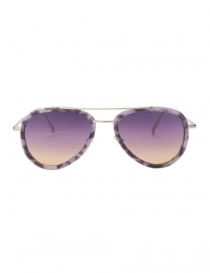 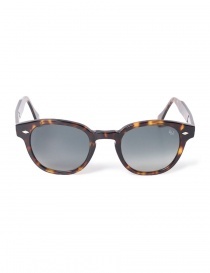 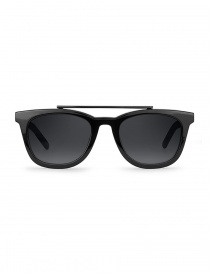 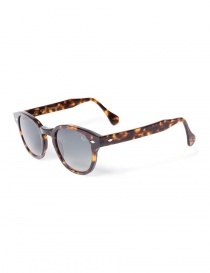 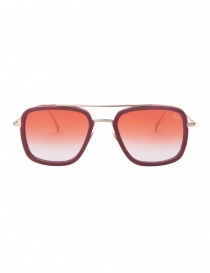 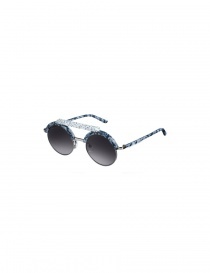 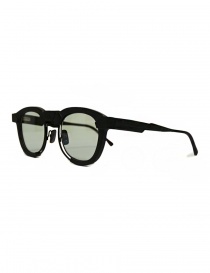 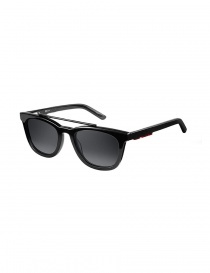 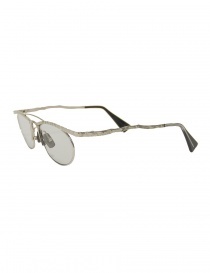 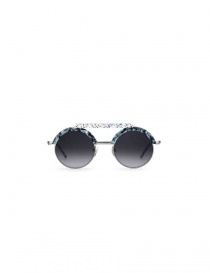 Round cut frame and protective gray-silver mirror lenses. The stems are decorated outer with logo and brand initials.